A 14.5 per cent 'fat tax' on burgers, pizzas and other junk food and a Green tax for vehicles over 10 years have been proposed in Kerala by CPI(M)-led Left Front government in its maiden budget. A 14.5 per cent 'fat tax' on burgers, pizzas and other junk food and a Green tax for vehicles over 10 years have been proposed in Kerala as part of CPI(M)-led Left Front government's maiden budget on Friday that also provided for a Rs 12,000 crore 'anti-slowdown package' for taking up developmental works. As the state faced a severe financial crisis, Finance Minister T M Thomas Issac presented the 2016-17 budget of the Pinarayi Vijayan government and said resources will be raised outside the budgetary framework through the Kerala Infrastructure Investment Fund Board (KIFB), making use of SEBI and RBI approved schemes. The Left Democratic Front(LDF) came to power in May. The budget, which raised various monthly welfare pensions to Rs 1,000, proposes to raise funds through various means, including diverting a portion of the tax raised through Motor Vehicle tax and Petrol cess, to the KIFB. It also imposed levies on various items including packed wheat products like atta, rava and maida. Coconut oil will also become dearer with a five per cent tax. 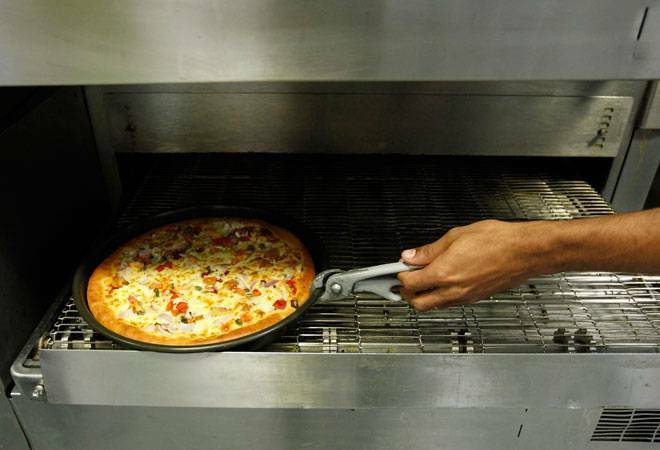 In a bid to discourage junk food culture, the 14.5 per cent 'fat tax' on burgers, pizzas and pasta served in branded restaurants was proposed by the government, in perhaps a first of its kind move, targeting an additional revenue of Rs 10 crore. Stating that the state was passing through a severe financial crisis due to various factors, the budget proposed an 'anti-slowdown package' of Rs 12,000 crore for taking up various development and infrastructure projects like roads, bridges and IT parks. Blaming the previous Congress-led UDF government for "very low" tax collection in the last five years, Issac said the budget was targeting a 25 per cent increase in tax collection every year. The target would be achieved by strengthening the tax collection methods and plugging corruption. The LDF government is also eyeing huge public investments in higher education in the state to improve facilities not only in the existing colleges and universities, but also to set up Centres of Higher Learning and Research Institutes to make Kerala a Knowledge destination. Government schools in each of the 140 constituencies will also be raised to international level, and Rs 1,000 crore has been earmarked for this. The budget proposes levying of a 'Green Tax' for renewing registration of private vehicles (four wheelers and above) which are over 15 years old and 10 years old transport vehicles. The budget also increased all welfare pensions to Rs 1,000 and set apart a sum of Rs 1,000 crore for the same. All workers coming under the employment guarantee scheme and having completed 60 years of age, will be given pension. Women deserted by their husbands for over five years would also be entitled to pension, he said. Steps would be also taken to attract Rs one lakh crore investment in various sectors in the next five years, he said.